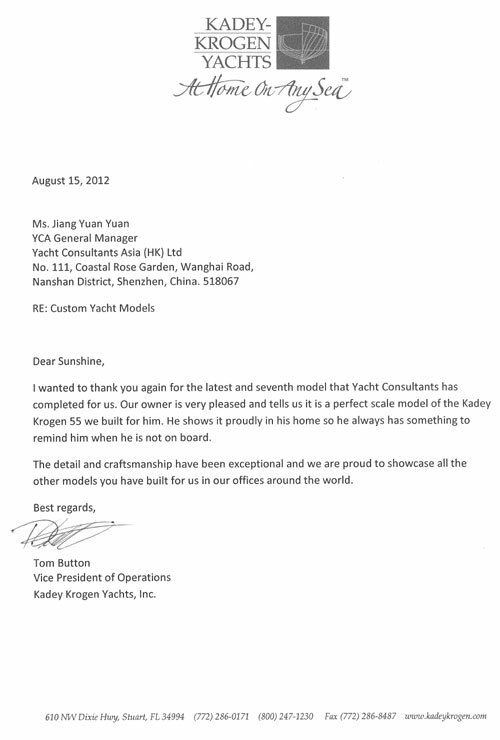 As CEO/President of Mad Rock Marine Solutions Inc. (www.madrock.ca), I am pleased to offer this recommendation for Yacht Consultants Asia (HK) Ltd run by William E.Baycroft of Shenzhen China. Mad Rock's is an evacuation system technology company that has created the first "fail closed" lifeboat release mechanism. The patented RocLoc lifeboat hook, the only one of its kind, exceeds as all LSA Code and SOLAS regulations and is approved by Lloyd's Register, Det Norske Veritas, and the European Commission. Although the technology was designed in Canada by our own team of engineers and technologists, the RocLoc is presently built in entirely in Northern China, and shipped around the world for installation on commercial vessels and marine installations. Represent Mad Rock, by interacting directly with our manufacturers, business associates, and Classification Societies during tringent product approval testing. Consult with Mad Rock and our business partners in both China and Canada. Source high quality materials and possible alternative manufactures for our RocLoc system. Due to Mr. Baycroft's ability to cater to our needs and foster valuable relationships with our Associates regardless of the circumstance, we will continue to use his skills as the need arises. Mad Rock Marine Solutions Inc. I have known and worked with William Baycroft professionally for a number of years now and I have known of him for longer than that. 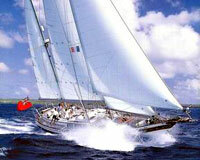 In Canada he is well regarded and recognized as a veteran and well seasoned yacht builder, with particular focus on very high end yacht interiors. 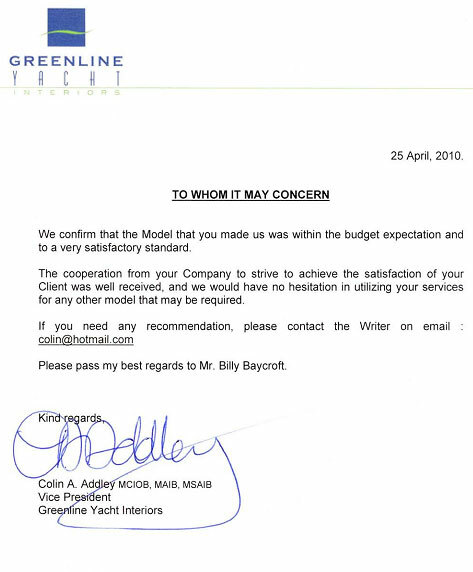 The first time I had the opportunity to work with William it was while he was the General Manager of the International Audio Group's (IAG) yacht division. 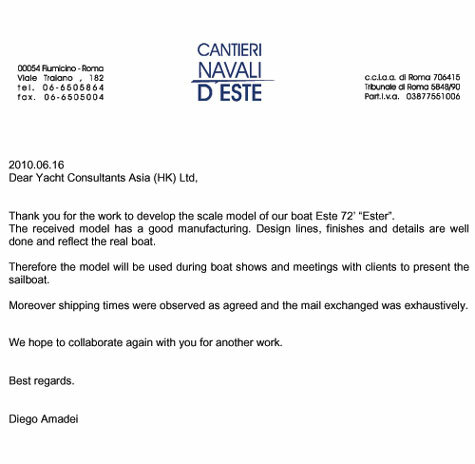 Together we managed the design process and tank testing for the IAG flagship 39 metre motor yacht EMMA. 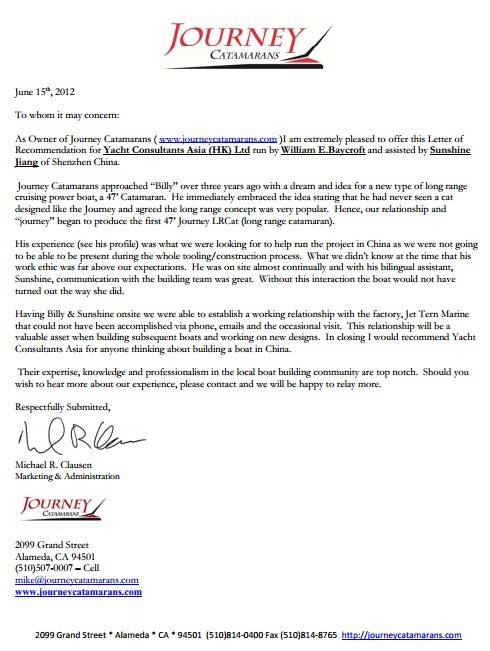 As manager of the project for IAG, William kept me and the rest of the design team on our toes ensuring that the schedule and budget were maintained. William has a relaxed demeanor that makes him comfortable to work with, however he is a stickler for detail, maintains a high level of professional integrity and will always go the extra mile for a client. Necessary qualities in my opinion, for the type service he provides for high net worth individuals like you. 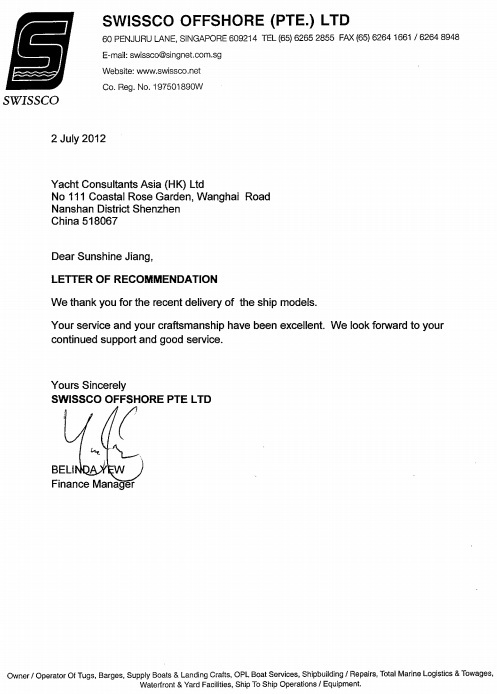 I am pleased that William is providing a service like this as we at the SMG will certainly be availing of it and ready access to William's global network of yachting professionals. It is a privilege for me to write a letter of reference for William and I would be pleased to speak with you directly regarding Mr. Baycroft at your convenience.